Join us for Camp Cristo Rey! Our Online Giving system now is also an App for Apple products! You can download it and use it even if you already give through Online Giving or are new and want to create an account. Go to the App Store or OLGapp.com/IOS to download and then register our church ID 1161-St. Joseph, Ellinwood or 1155 -Immaculate Conception, Claflin. Thank you for using Online Giving. Parishioners who use the service are pleased with how easy it is to set up and manage. If you have not yet signed up for Online Giving, then please consider this option. By using Online Giving you are helping the parish to improve our operational efficiency. To sign up select Online Giving on the right side of this web page. 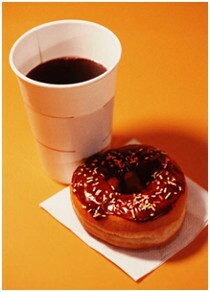 Coffee and Donuts will be served after mass at St. Joseph Parish Center on First Friday, April 5, 2019. Please join us for fellowship. May is the month of Our Lady.